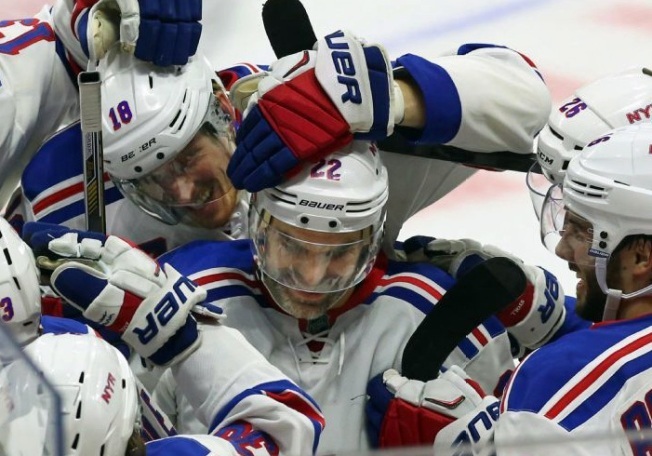 Ottawa native Dan Boyle scored the shootout winner Saturday afternoon as the New York Rangers defeated the Ottawa Senators 2-1. Chris Kreider scored the lone goal in regulation for the Rangers, who have won eight in a row and have a point in 12 straight games. Henrik Lundqvist stopped 22 shots for his tenth win of the season. Erik Karlsson scored the only goal for the Senators as Craig Anderson made 33 saves. In overtime, Ottawa's Mike Hoffman hit the post twice and the Rangers' Rick Nash hit the post as well. The Rangers outshot the Senators 10-7 in the second period and nearly took the lead in its final seconds, but Anderson stopped Mats Zuccarello to preserve the 1-1 tie. The teams exchanged power-play goals in the first period. Kreider opened the scoring at 2:31 as he tipped Kevin Hayes' shot past Anderson. Ottawa tied the game four minutes later when Karlsson finished off a nice passing series to beat Lundqvist. Karlsson now has three goals in his last three games after going the first 14 without a goal.